I like this. I would agree that a multiple basket type approach would be good. By having a basket for the authenticated session. Then if the user is browsing anonymously it would become a second basket when logged in. Unless, there was no other basket. I would say this is kind of a combined approach to the legacy way ubercart handled things and almost a wishlist like thing. I would imagine if you were able to create "baskets" or collections of cart items a user could really get a lot of flexibility to possible create a basket then make a new basket so that he or she may be able to checkout a certain basket now. Then maybe he or she is waiting for some money so they can buy the next basket of items. It is like walking through the checkout line and putting some items on hold till you come through again or allow for things like layaway. Something like this would be really good for the ever growing online food shopping market. I guess an easier way to do the basket thing would just have a cart archive. Anonymous user would just then be notified that there previous authenticated cart was archived. Then you could just have the feature of combining archived items with current cart. 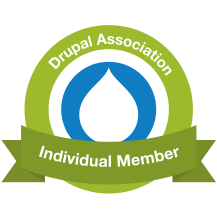 If done right, this could be a really slick feature unique to Drupal Commerce. It's almost like a remarketing tool - like a "other items purchased like these." There should probably be an option to display it as a block or page. That way I can pick to display it on the cart page, or maybe a process between the cart and checkout. This also can account for "when is the user forced to login? if at all." As you said about your personal experience Ryan, the reason to login at Barnes & Noble had nothing to do with your basket, it was just to reuse previous addresses and payment info. We are used to the "add to basket experience", we spend time reviewing and selecting goods, but once we have selected the items we want we kill for the shortest path to end the purchase process. Ask amazon about buy-on-one-click results. wouldn't an even more complicated solution be to prompt the customer with either "You already have/had a these items in a cart from another session" or to really twist their mind show a graphic for a second cart. In either case giving options with what to do with the multiple carts (deletion options, combination options, and/or options). Hah, I didn't even think about the use case where someone adds the same product to their cart. In Ubercart, it would just increment the quantity, which would be even trickier to detect as a customer.